With more and more space debris, how can we achieve sustainability? Sustainability is a fast-growing theme in our society, and one that will be of increasing importance as more and more humans venture into space. Many headlines have highlighted the alarming accumulation of trash in our oceans, while societies far and wide fail to keep up with the cleaning of litter in cities and along highways. Considering all that we have discarded over the last few decades — plastics, metals, and other solid waste — the emptiness of space may strike one as pristine and untouched. Yet, wherever humanity goes, so waste follows. NASA estimates that there are over 500,000 pieces of debris orbiting the Earth. The European Space Agency (ESA) claims that this rises into the millions when the smallest pieces are counted, but says that perhaps 29,000 of these are larger than 10 centimeters. Many of the smaller pieces of debris have already been re-entering the atmosphere at a rate of one per day, according to NASA. Beyond simple debris, there are also over 2,500 satellites in orbit that are no longer being used, but are essentially husks of metal and circuitry with nowhere else to go. Our planet’s gravitational pull keeps all of this debris strongly in orbit, and to push it further out would be a hefty endeavour. Whilst the current amount of debris has already caused some issues — such as the International Space Station moving to avoid a deactivated Russian spacecraft, or the collision of two satellites in 2009 — it is worrisome to consider the future risk of this state of affairs. The Kessler syndrome, named for NASA employee Donald Kessler, was conceived as far back as 1978 to describe a dilemma where debris is so ubiquitous that it complicates or even prevents launching missions into space from Earth. The accumulation of space debris is certainly an unsustainable practice. The NASA Orbital Debris Program Office is an example of our efforts to mitigate and understand the risks associated with increased space debris, but it still remains unclear if there are any real solutions to the problem. There have been promising developments, however, best seen in cooperative ventures between the United States government and several private companies and organisations. The Defense Advanced Research Projects Agency (DARPA), which is associated with the Department of Defense, has launched the second phase of what it calls the Phoenix Project — a program that will use robotic spacecrafts to salvage parts from decommissioned satellites. In 2014, DARPA awarded contracts to eight private companies who will collaborate with the project. Meanwhile, there has been innovative speculation on how to recycle spent fuel capsules, known as external tanks (ETs). The Space Frontier Foundation, a nonprofit group committed to encouraging human presence in space through government and private sector cooperation, has been championing an idea to recycle these capsules into storage spaces and even inhabitable structures. The foundation suggests that each tank is equivalent to an eleven-story building, and collecting several of them presents the opportunity to form a space station that competes with NASA’s space station Alpha as well as the joint American-Russian ISS. There is even the suggestion of a “wet launch”, where the capsule would be outfitted with basic inhabitable architecture before being filled with fuel, leaving it empty but ready for use once discarded in orbit. Alternatively, these tanks could be melted down for reuse after recovering their leftover hydrogen, oxygen and nitrogen reserves — over a metric ton of useful substances. NASA has indicated that its capsules are free to be reclaimed by any organisation that has the means to collect and secure them. This places what is currently debris into a new category, effectively rebranding them as a commodity. These capsules could become space stations, greenhouses, or even industrial raw material. A hypothetical moon base, also advocated by the Space Frontier Foundation, could rely on these as primary structures, much in the way that shipping containers are employed in austere locales by the US military. Smaller debris, however, are much less of a commodity. To be effectively collected, they would have to be gathered into a large clump by such potential machines as Switzerland’s CleanSpace One. In large groups, they could be used as a shield against radiation, or be melted down and shaped into something new. In coming years, practicing sustainability in space will be crucial. 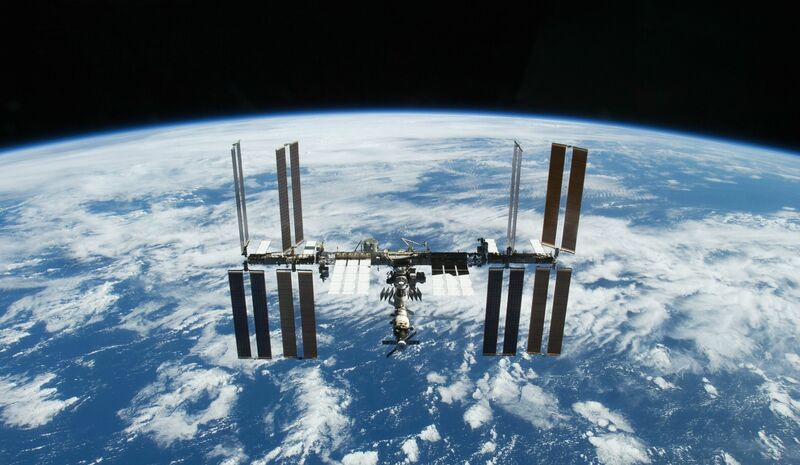 For governments, sustainability could mean lower costs of operation, improved safety of manned missions, and yet a growing need to develop difficult-to-enforce regulations. For private organisations, there may be more need to practice corporate sustainability alongside an attractive opportunity to profit from repurposing much of the debris. In the long-term, it will remain important that human activity in space serves to benefit the population and environment of the planet, and that through sustainable practice we avoid becoming a danger to ourselves while already braving the many inherent dangers of space travel.